"There is immeasurable professional satisfaction in helping people help themselves in the true realization of tax efficient financial security." 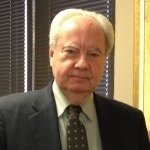 Jim Brown was President of J M Brown Financial Partners, Inc. since 1984 through November 2011. As the founder of the firm, Jim continues to act as a Strategic Consultant/Senior Advisor to the overall growth of the practice. In 1984 he established his own financial advisory firm which truly represented a continuation of related professional work after returning to the United States following fifteen years of Management Consulting assignments with Price Waterhouse & Co. in various countries. From 1979-1984, Jim obtained additional experience in a different area of financial services while in Sales Management with the Paul Revere Insurance Group, known for its Disability Insurance Products in the Professional Market. During this period he attained national status as a consistent Top Ten Disability and Life Producer. He has continually worked on development and modification or adjustment of needed strategies, tools and techniques coupled with tax planning to achieve his clients' financial goals and objectives. Jim became a Certified Financial Planner™ practitioner in 1992 and has developed a Regional Firm primarily through referrals from his existing client base. Jim holds a BBA degree with emphasis in Economics and Management. In addition to his CFP®, he also holds Life, Health and Variable Insurance licenses in several states in the Region, and as needed licensing in other states. Jim is an Investment Adviser Representative of the firm and also is a Registered Health Underwriter. Jim is currently a member of The Tulsa Opera Board of Directors. He loves cooking and enjoys family time as well as traveling and deep sea fishing off the northern coast of Peru.